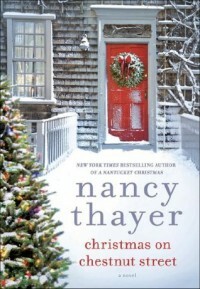 Christmas on Chestnut Street: A Novel - Nancy Thayer - Books! I really enjoyed this heartwarming holiday story about family and love :) This novel was a clean, feel-good book that moved quickly and was funny and touching. I definitely felt the Christmas spirit while reading this. There was even a passage that had me on the edge of my seat a bit! At first I was a little irritated by the (sometimes) hokey dialogue and writing style... But after a while I was able to overlook that and the characters really grew on me. 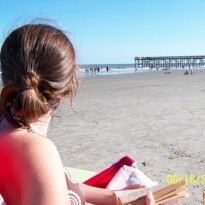 I have never been to Nantucket, but the author's descriptions made it come to life for me. I do wish some of the recipes mentioned in this book had been included at the end. I received this book from NetGalley to review.